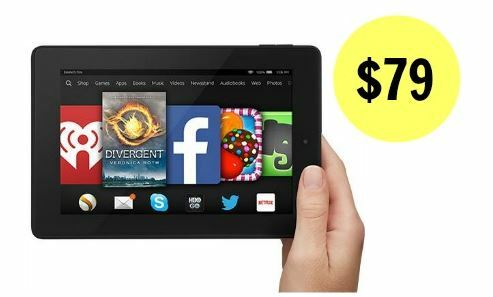 Are you looking for a good deal on a Kindle Fire? For today only, Amazon is offering the Kindle Fire HD 7 tablet at 43% off! Get it for $79 (regularly $139). This tablet has a 7 inch display, an HD camera, and you can stream movies, TV shows, music, and download and read books. This deal is valid through today only.